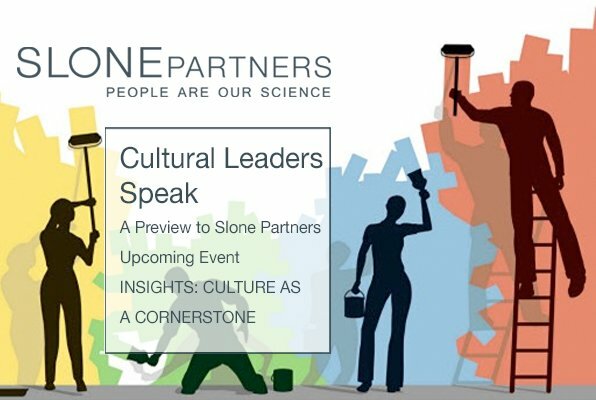 As a preview to Slone Partners upcoming event INSIGHTS: CULTURE AS A CORNERSTONE in Boston June 6, 2018, we asked our moderator and panelists to answer a single question about what shapes their thinking. The goal of creating thriving cultural environments through board and senior management activism is the latest topic which Slone Partners uniquely addresses in its ongoing series of dynamic live programming. These events regularly take place in the most important science and healthcare hubs across North America. To attend Insights: Culture As A Cornerstone June 6th at the Seaport World Trade Center & Hotel, RSVP to LeslieL@slonepartners.com. Partner & Chief Human Resource Officer, Third Rock Ventures. Invested in a portfolio of 50 healthcare companies, Third Rock Ventures discovers, launches and builds great companies based on bold ideas. Talent branding is a philosophy that elevates employees through visuals, professional accomplishments, and their unique personal backstories. What are the obvious and non-obvious positive connections between talent branding and organizational culture? Today’s candidates search for jobs in very different ways and they are basing their decisions on some of the more cultural elements an employer has to offer. Talent branding is a way for a company to connect with a candidate before they have even had an initial conversation. People are attracted to things that resonate with them, that they can identify with, that touches either humor or heart. We all know candidates are doing research before they apply, before an interview, before a decision on an offer. The more a company can give a prospective candidate a peek into their culture and what it is like to be there the better chances they have to hook the candidate. Candidates don’t want to hear what the company’s corporate marketing department puts out about a company’s brand, they want to hear what the employees have to say, they want to see what the employees are doing. Talent branding gives candidates something to gauge from the start “does what I saw online match what I feel now that I am here”. If it does, as a company, you have now made two meaningful impressions on a candidate that most of your competitors have not. It also helps turn the wrong cultural fits away. Imagine if you were a person who hated dogs (I personally can’t imagine this, but some people do). You apply to and get an offer from an awesome company. You get to your first day on the job and you realize that you have just joined an entire crew of crazy dog people. In fact, they have a standing “bring your dog to work day” every week. During all of your visits you never happened to be there on a day the dogs were there and no one that you met with mentioned this. This is probably going to now feel like a nightmare when you are sitting in a meeting and your colleague’s dog “Baxter” puts his wet nose on your arm. Companies need to stop hiding their corporate cultures. In the war for talent we all need as much help as we can get. If you have the opportunity to make connections and draw people in (or push people away) as early in the process as possible DO IT! I am still astounded by how few companies have developed talent brands and social media presence. Time to catch up to your peers! 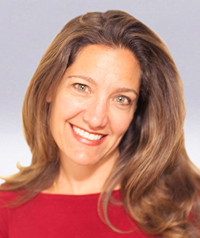 Chief Executive Officer, Athena Alliance. With a mission of accelerating gender diversity in the boardroom by making the connections that make the difference, Athena Alliance impacts leadership. You’re a big proponent of, yes, diversity, but more so the power of meritocracy. As people continue to be recognized for their individual talents rather than their gender or race, what societal and corporate cultural benefits could occur over the next 20 or 50 years? This question presumes our ability to remove unconscious bias that works against diversity from interfering with systems of meritocracy. I believe doing this is a very important effort, but one that will take more time than even some of the most patient of us are willing to allow. It will come naturally and increasingly quickly as new generations dominate the workforce – generations with less of the old biases that work against underrepresented groups. I believe that a more immediate focus for change is top down, from the boardroom to the c-suite. My focus is the boardroom. Women make up 6% of CEOs and 11% of CFOs. This is the narrow aperture from which most boards historically pull Directors. Boards need more diversity not only of gender and race, but career experience. If we focus on career experience rather than gender and race we will naturally get more women. Here’s why: Women make up 55% of CHROs, 39% of SVPs of Strategy, 35% of Chief Customer Officers, 32% of CMOs, 29% of Chief Risk Officers, and even 19% of CIOs. Women hold key roles missing from the stewardship of purpose, customer, community, and society – so much so that Larry Fink, CEO of Blackstone in his annual shareholder letter titled “A Sense of Purpose” and the other top financial institutions which hold significant stock ownership of American companies – are now calling for. 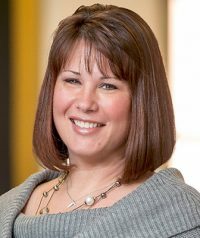 Executive Vice President Human Resources & Corporate Communications, iRobot. The leading global consumer robot company, iRobot designs and builds robots that empower people to do more both inside and outside the home. Traditionally and anecdotally, tension can be produced between the more-linear thinking of engineers / programmers and “creative, free-thinking” sales & marketing people within organizations. Culturally, what’s the solution for a fun consumer-facing company like iRobot to square the diverse interests of these groups? iRobot has a very dynamic, grass-roots led culture. Our employees are passionate, driven and creative – and they are united by our purpose and aspiration no matter where they sit within the organization. The right cultural fit at iRobot is everything and our focus – to ensure we strengthen this culture – is to recruit people who are as excited as we are about building the best consumer robotics company in the world. 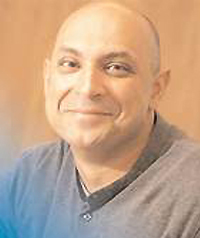 Chief Executive Officer, Relay Therapeutics. 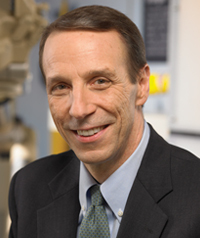 In its quest to develop effective therapies for multiple diseases, Relay Therapeutics brings protein motion to the center of drug discovery. On the Relay Therapeutics website, your profile playfully shares that you’ve failed two driving tests in “at least” two different countries. As CEO, why is it important culturally to share personal information like this inside your organization and externally to clients, candidates and investors? Great companies are built with great people. Sharing “fun facts” like these invites both our internal and external stakeholders to see through the corporate exterior and to connect directly with the talented individuals that make up our company. We lead with sharing who someone is, not what title they have. Our goal is for people to look past our roles and to see each of us as “real”, accessible, diverse and hopefully relatable. Putting our people at the heart of our company is critical as they are what make us special!